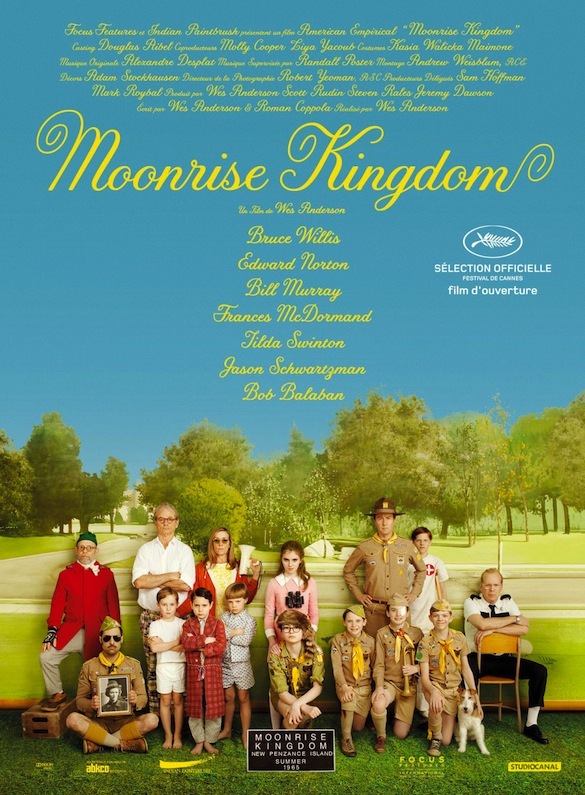 Brilliant American filmmaker/director, Wes Anderson presented his latest artistic brain-child at this year's Cannes Film Festival: Moonrise Kingdom. 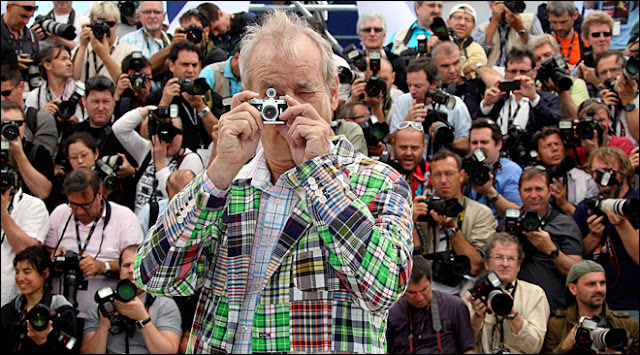 The film stars some of Anderson's usual suspects, Bill Murray and Jason Schwartzman, along with new picks from the indie film world, such as Frances McDormand, Tilda Swinton and Edward Norton, and there's also some surprise additions to the cast, Bruce Willis, as well as a few new young faces, Kara Hayward and Jared Gilman. The film's plot revolves around the two young teens in love—played by Hayward and Gilman—who are planning their escape together, away from their New England town in Rhode Island. The getaway causes much chaos leading to the local search party to look for the runaways—hilarity dipped in well-crafted amusement ensues. Anderson co-wrote Moonrise Kingdom with Roman Coppola, (brother and son of Sofia and Francis Coppola, respectively). The movie comes out in selected cities in the US this weekend, May 25, 2012. Murray—one of Wes Anderson's film muses—made quite a splash at the French Film Festival: with his humor in tact, showing up in a very colorful suit, armed with a Minox digital, the actor passed by his cast-mates to make a point of turning the camera back at the howling paparazzi with his miniature camera in hand. 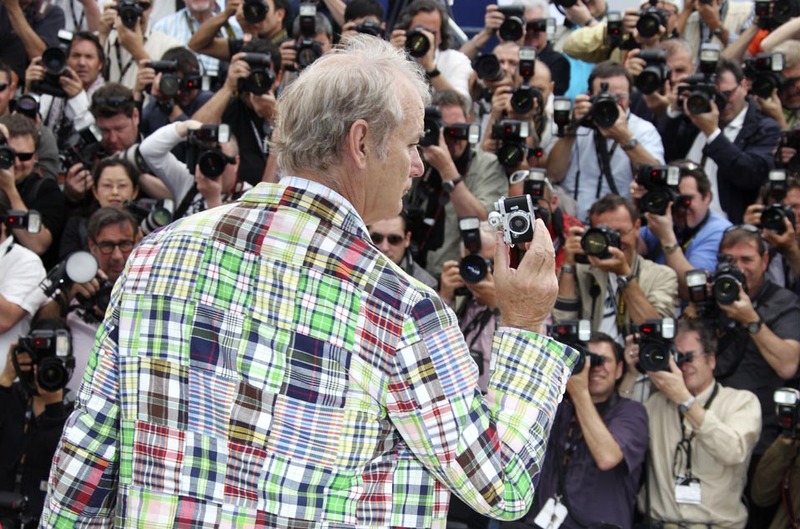 Have a watch at some of the images from Cannes (featured below), as well as the full press conference for Moonrise Kingdom (featured right).